Tiller number is highly regulated by controlling the formation of tiller bud and its subsequent outgrowth in response to endogenous and environmental signals. Here, we identified a rice mutant htd2 from one of the 15,000 transgenic rice lines, which is characterized by a high tillering and dwarf phenotype. Phenotypic analysis of the mutant showed that the mutation did not affect formation of tiller bud, but promoted the subsequent outgrowth of tiller bud. To isolate the htd2 gene, a map-based cloning strategy was employed and 17 new insertions-deletions (InDels) markers were developed. A high-resolution physical map of the chromosomal region around the htd2 gene was made using the F2 and F3 population. Finally, the gene was mapped in 12.8 kb region between marker HT41 and marker HT52 within the BAC clone OSJNBa0009J13. Cloning and sequencing of the target region from the mutant showed that the T-DNA insertion caused a 463 bp deletion between the promoter and first exon of an esterase/lipase/thioesterase family gene in the 12.8 kb region. Furthermore, transgenic rice with reduced expression level of the gene exhibited an enhanced tillering and dwarf phenotype. Accordingly, the esterase/lipase/thioesterase family gene (TIGR locus Os03g10620) was identified as the HTD2 gene. HTD2 transcripts were expressed mainly in leaf. Loss of function of HTD2 resulted in a significantly increased expression of HTD1, D10 and D3, which were involved in the strigolactone biosynthetic pathway. 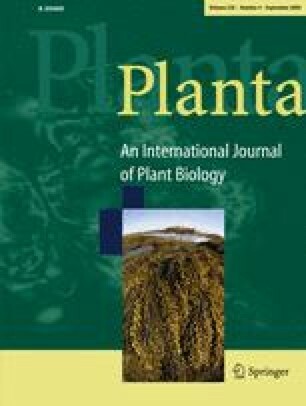 The results suggest that the HTD2 gene could negatively regulate tiller bud outgrowth by the strigolactone pathway. We thank Dr. Qifa Zhang (Huazhong Agricultural University, China) for providing us with the pSMR-J18R plasmid. This project was supported by the grants from the National Basic Research Priorities (973) Programmes of China (G19990116-1 and 2005CB120801), the National High Technology Research and Development Program of China (2006AA10Z1E8), National Natural Science Foundation of China (30623006), Zhejiang Natural Science Foundation (Y307070 and 2008C22077), and Hubei Natural Science Foundation for Distinguished Young Scholar (2008CDB096). We are grateful to Mrs. Honglan Yan (China National Rice Research Institute, China) for taking pictures for the article.